Sweet as a rose bud. 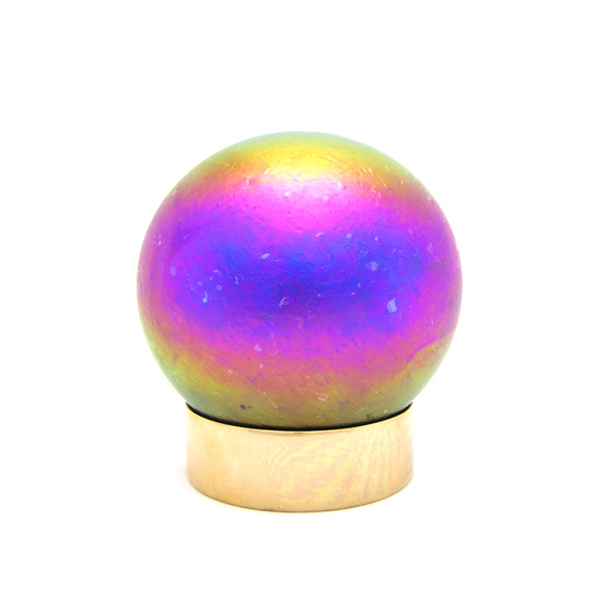 This shimmering pink spherical cremation urn is hand blown by a glass artist, and it sits within a ring-base of polished solid brass. The secure, threaded, brass Closure at the bottom of the sphere provides space for engraving. Included are a plastic inner liner bag, and a black velvet pouch for containing small mementos. The art of creating these iridescent glazes dates back to the late 1800's in central Europe and can only be achieved by hand.